Task: to create a certificate, advertising brochure and house plate for a woodworking enterprise. Sokolsky DOK builds beautiful and warm wooden houses that are durable enough for generations of families. 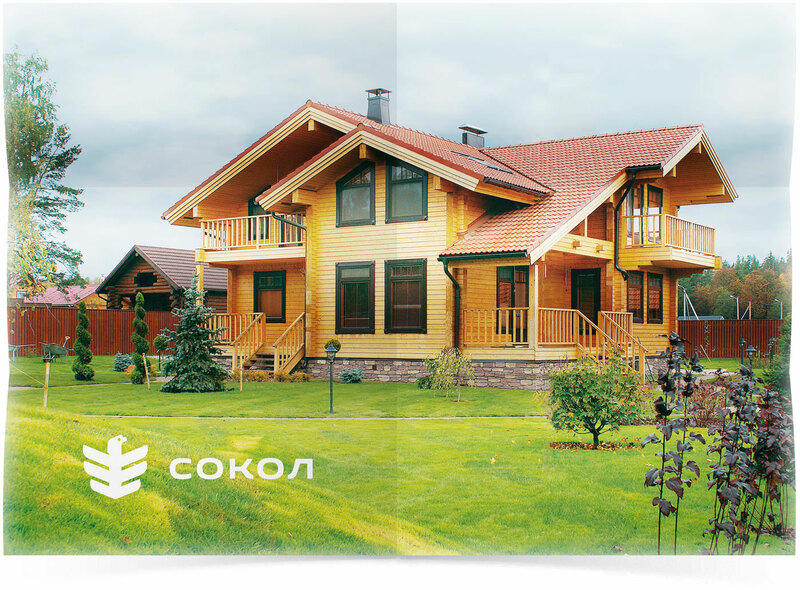 The company is part of Segezha Group woodworking complex, one of Russia’s leading timber harvesting enterprises. Graphic materials for the company were designed at the studio. 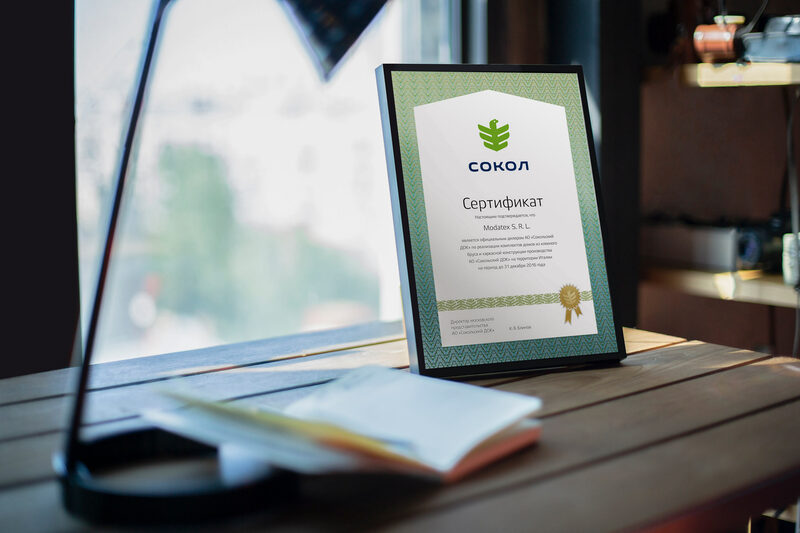 The certificate is given to the factory’s dealers that sell Sokolsky DOK houses and construct them in Russia and other countries. The background of the certificate is metalized guilloche. The ornament glitters pleasantly in the light and ensures authenticity of the certificates. A foil badge is attached to the certificate when it is awarded. 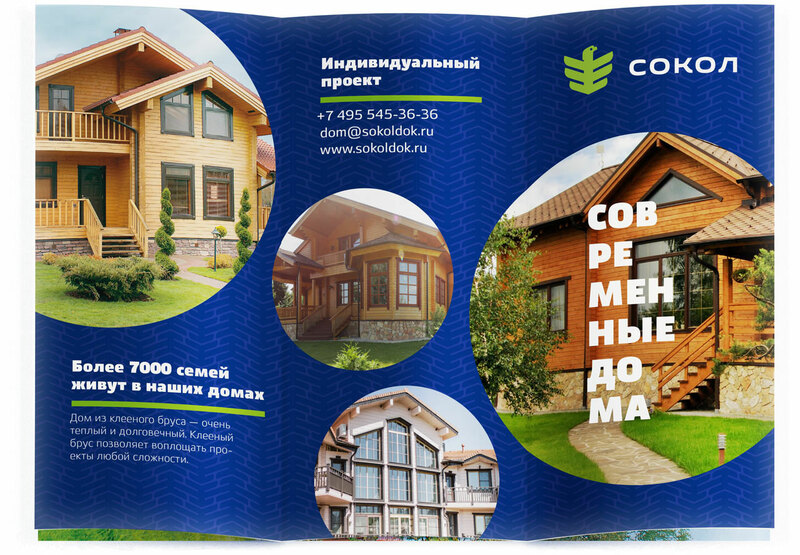 The advertising brochure introduces the company’s projects. 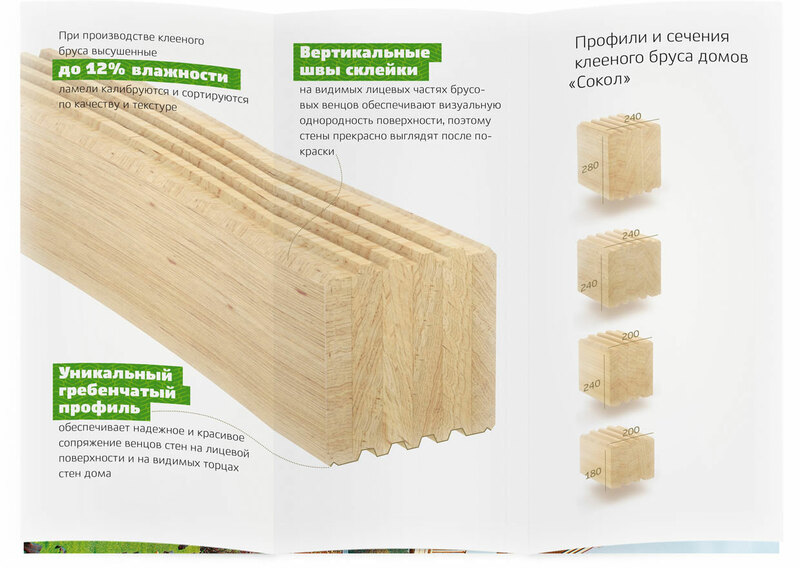 The booklet explains features of different construction materials. A beautiful house on the reverse. 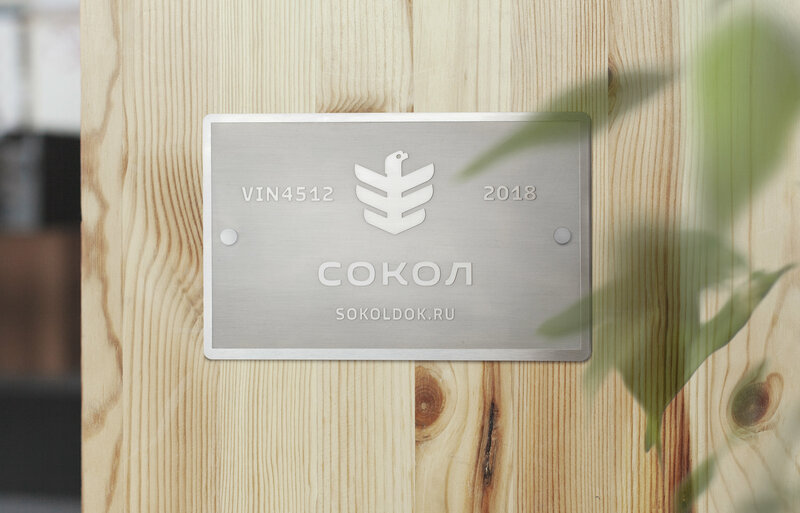 The company marks each house that it produced with a metal wall plate which contains the construction year, building ID and the company logo. The plate is attached to the house with rivets.